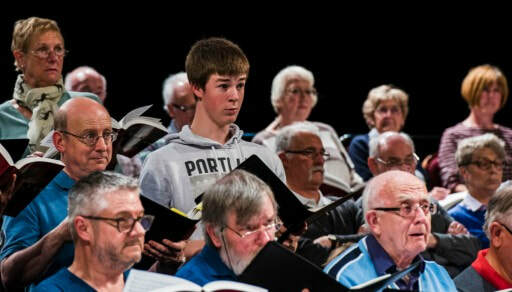 HCS is a high standard, mixed voice, open age choir, that performs a variety of concerts in the Harrogate area. We are open to new members with or without previous singing experience, who want to perform with a leading choir. If you are an experienced singer, you will recognise that we sing to a high standard, and we welcome new members into all of our sections. If you are a novice singer, interested in the challenge of learning how to sing, we will coach you to this level in a surprisingly short period of time. Fauré’s Requiem is scored intimately and departs significantly from the standard liturgical text. 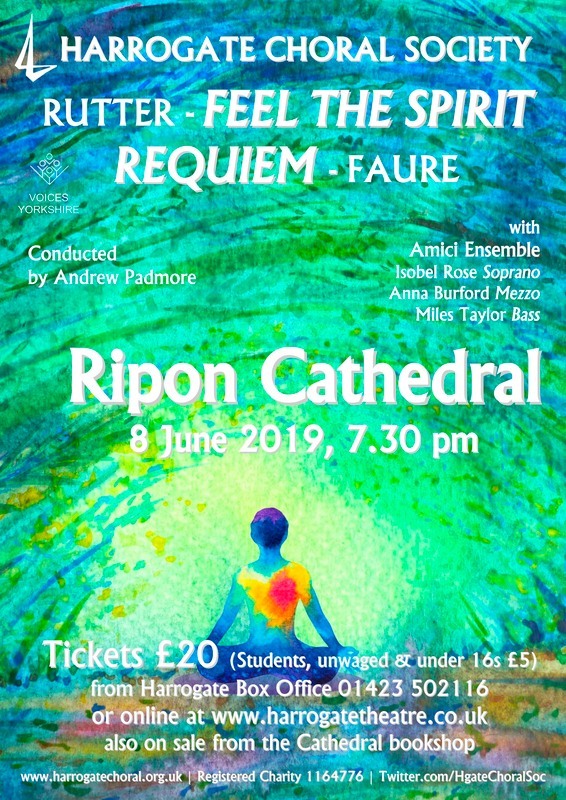 The work includes the lyrical (and frequently sung as a solo) Pie Jesu and the transcendent In Paradisum, with its soaring vocal line and murmuring harp accompaniment. The prevailing mood is one of peacefulness and serenity, and the work has often been described, quite justly, as a Requiem without the Last Judgement. Soloists for the evening will be Isobel Rose, Soprano; Anna Burford, Mezzo Soprano; and Miles Taylor, Bass. Harrogate Choral Society will be accompanied by the Amici Ensemble and conducted by the HCS Music Director Andrew Padmore.